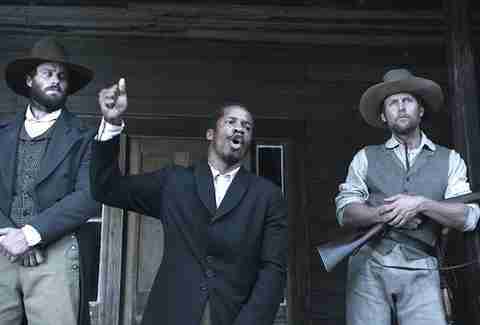 When Beyond the Lights star Nate Parker stepped onto a Sundance stage to introduce his directorial debut, The Birth of a Nation, audiences leapt to their feet in a roar of applause. They were clued in to his story: Parker had given up his promising acting career two years ago in order to write, produce, and direct a biopic of Nat Turner, the African-American slave who incited a rebellion against Virginia slaveowners in 1831. To Parker, Turner’s final act was an essential story of black history in America, yet he struggled to find investors with deep pockets who agreed. "It was very difficult, for so many reasons," he told the crowd at the premiere Q&A. "I think anytime we're dealing with our history, specifically with slavery, I find that it has been desperately sanitized. There's a resistance to dealing with this material." Parker found the money, divorced himself from corporate control, and nurtured Birth of a Nation into an unflinching historical document. His defiant approach begins with pillaging the title of a racially-charged, silent era classic, and ends with Turner, played by Parker, leading the Southampton Insurrection in all its bloody glory. The indie avenue prohibited the actor-turned-director from stretching Turner’s story to the scope of Spartacus or classically tailoring it like the picturesque 12 Years a Slave -- a $10 million budget only goes so far. Parker compensates with fury. Actors Jackie Earle Haley and Armie Hammer summon the spectrum of heinous slaveowner behavior, which Parker conveys as a poison that cripples anyone teetering on the edge of understanding. His own acting work bellows; before stirring up his fellow slaves, Turner makes a name for himself as a preacher. While he’ll later turn to pitchforks and daggers to incite real violence, his first weapon of choice is The Bible. Southerns quoting slavery-enabling verses be damned -- Turner, studious and sharp, fires back with counter quotes. Religion plays a central role in The Birth of a Nation, as both a source of spirituality and cesspool of hypocrisy that stains our country’s history. Bold claims for a bold vision. The Birth of a Nation has its flaws. Parker’s focus on the horrors of slavery -- a hard-R depiction that ranges from sadistic beatings to teeth-smashing -- leaves Turner and the other characters feeling two-dimensional. It’s a historical drama that’s light on the latter. 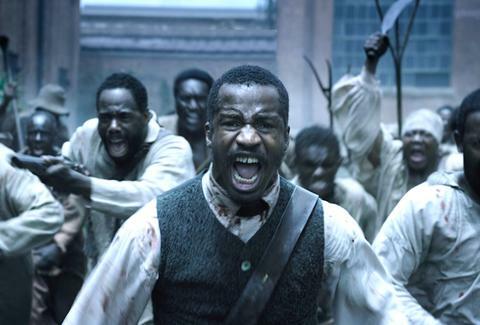 A swelling score, glossy finish, and consistent moments of bravado make Birth of a Nation totally digestible. Braveheart would be a favorable comparison if Mel Gibson wasn’t so problematic. Despite the director’s resistance to Hollywood, his movie is very Hollywood. Misgivings didn’t derail Sundancers' enjoyment. The Birth of a Nation’s closing credits were met with a second standing ovation and a bidding war over who got to take the picture home. According to Variety, Netflix made Parker and his producers a $20 million offer to distribute the movie. They opted for a deal with Fox Searchlight, the studio behind 12 Years a Slave and a more theater-centric home. The price: $17.5 million -- the highest purchasing price in Sundance history. Three days before Birth of a Nation’s premiere, the Academy Awards announced an initiative to diversify its voting body. Spurred by the #OscarsSoWhite campaign, a hashtag activist retaliation over this year’s whitewashed nominees, Academy President Cheryl Boons Isaacs declared that the organization was "going to lead and not wait for the industry to catch up" by reassessing membership status. A recent statistic showed that only 2.6 percent of Oscar voters are black. The Academy promises to double that number by 2020. Movie industry institutions forced Parker to make his movie outside the system. Now he’s commanding them. There’s an awakening to the importance, and, let’s be real, financial gains, of diversity. Audiences want to hear Nat Turner’s epic story. They want to see a powerhouse black lead in the same kind of physically-demanding, heartstring-tugging roles reserved for Benedict Cumberbatch and Leonardo DiCaprio. The Birth of a Nation is a good movie with a great conversation bubbling inside of it. Everyone needs to see it. And they will, thanks to Parker and a widespread cry for change.